As you read this, I don't yet know the series of events that brought you and your fiancé together. But that story is continuing as you move closer to your wedding day. I hope you will allow me the honor of recording that event in a way that speaks to the two of you and the life you've shared and will share together. My own incredible love story that began the day I met my wife Kim. The early chapters of that tale include countless struggles and obstacles that we overcame in order to meet that amazing day at the altar. And from my own special experiences, I feel that I've come to have a unique perspective on matrimony and the day it all begins for both of you. And every year Kim and I joyfully revisit our wedding day through photographs Those photographs serve as a constant reminder of the importance of what I am creating for the you when I photograph your wedding. I know there is something very powerful within you—something instinctive that brought the two of you together and made you committed to the idea of sharing a life together. You may not yet understand the significance of what you're undertaking but when I photograph your wedding, the visual experiences that I'll capture will become the foundation for the memories of this, the first day of the rest of your lives together. I'll find the photographic beauty in every part of your wedding, from the early parts of the day as you get ready, to the pageantry of your ceremony, and into the energy and excitement of your reception. And in between these traditions, I'll capture the many emotions as you and your your family and friends come together. And throughout, I'll be capturing photographs that will help preserve your day and serve as vivid reminders of what you felt every step along the way. I am based in Beverly Hills, California, but I'll travel anywhere in the world to photograph your wedding. My style has been described as timeless, romantic, and elegant. My goal is to give my couples the most beautiful and artistic photographs of their wedding, while keeping the experience fun, light, and not interrupting the flow of your wedding day. I limit myself to only 20 weddings a year in order to provide the quality, attention to detail, and individualized attention all of my clients demand and deserve. Roberto Valenzuela is a photographer sponsored by Canon USA and thus a member of the Canon Explorer of Light program. He has been an International first place winner three times and has been recognized by his peers as one of the ten most influential photographers and educators in the world. He has earned over 100 International awards for his wedding and portrait photography. Roberto was named Top 50 Wedding Photographers in the World by Junebug Weddings and for many years has been featured on the exclusive "Platinum List" of hand-selected photographers by Grace Ormonde, the editor in chief of Grace Ormonde Wedding Style magazine. 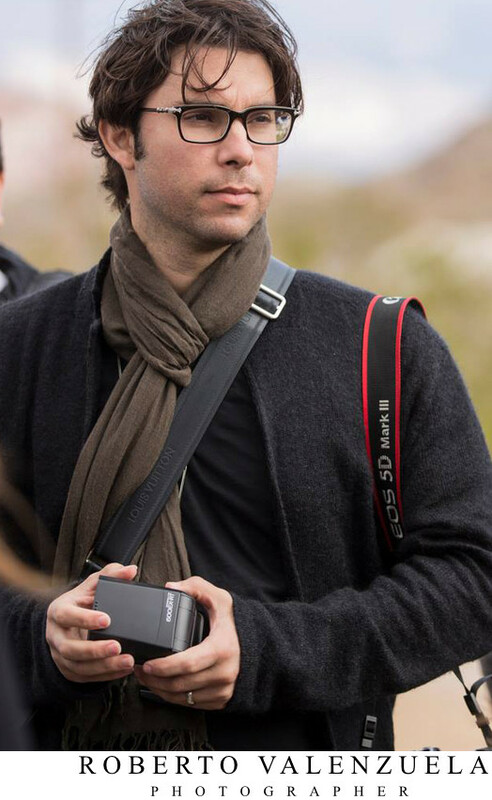 Roberto has been featured most notably as a wedding photography expert in publications like Cosmopolitan Bride magazine, Rangefinder magazine, and Professional Photographers of America magazine. Roberto Valenzuela is a top selling author in the "wedding photography" book category. His books is sold worldwide and has been translated into multiple languages. He is the author of Picture Perfect Practice, Picture Perfect Posing, Picture Perfect Lighting, and now his latest book, Wedding Storyteller Vol. 1. You can find his books at Amazon, or any Barnes and Noble in the country. Roberto has served and continues to serve as a judge and a Chairman for the largest photographic print competitions in Europe, Mexico, South America, & the Middle East. The most notable being the Wedding and Portrait Photographers International (WPPI) competition held in Las Vegas, Nevada annually. Outside the world of photography, I'm a high performance remote control helicopter pilot, a (not so amazing anymore) classical guitarist, and a table tennis fanatic. I'm also a major foodie and am still searching for the most amazing red wine and the most pungent cheeses. My search for the perfect steak is over; I found it in the Japanese Wagyu. Here's a short two-minute video interview for Canon. Check it out and let me know what you think! In my life before photography, for 10 years I had a career as a concert classical guitarist. Now, I use the remainder of those finely tuned skills to impress out-of-town visitors and when necessary complete strangers. I'm a hot sauce connoisseur and I'm always on the search for a tasty concoction that will shock my taste buds. And I'll often tempt fate with this obsession to try to find the tastiest but hottest peppers in the world but this can be dangerous. In fact, I once tried a sauce so hot that I lost my hearing for 10 minutes. Although I continue my search, my current greatest love is India's infamous ghost pepper. If you ever get the chance to visit my home, make sure you open my refrigerator and take a peek at my finely curated hot sauce collection. My favorite movie is Forrest Gump. I admire the tenacity seen in his approach to life's obstacles. My second favorite film is The Hundred-Foot Journey. The University of Arizona is my alma mater and I will be a loyal wildcat for the rest of my life. Bear down and shout out to my peeps at Eller School of Business! Before my wife Kim agreed to our first date, I asked her out almost every week for 5 years. Apparently I couldn't take no for an answer. And boy was it worth the wait! We've been happily married for 11 year now. I have arachnophobia! And for some reason, my fear compels me to study spiders every chance I get. On my recent trip to Australia, when my Aussie friends asked, "what do you want to see?" My first response was, a funnel web spider. Between my destination weddings and my teaching engagements at conventions and workshops around the world, I travel more than 100,000 miles a year. I find airplanes beautiful, and I sometimes book flights to certain countries just to fly on specific airplanes. Last year, I booked a flight to Paris just to fly the famous Air France A380. The largest passenger aircraft in the world. It was worth the trip! I love to watch the food network even though I can't cook. We now have a subscription to Blue Apron and cooking those meals makes me feel like an almost chef. My chopping skills are improving by the day. Besides being an avid runner, I like sports with extreme hand-eye coordination like table tennis. My favorite clothing store is John Varvatos. In fact, 80% of my wardrobe, including my shoes, is from John Varvatos. I have degrees in an Economics, Marketing, and International Business. When I graduated from college, I took a job as the Economics and Finance teacher at the same high school I attended. There were many raised eyebrows by my former teachers on my first day of work. I'm still not sure why. I was invited to the White House by President Bill Clinton after winning a State then a national political competition during my high school years. I recently purchased a Piano. Although I've never played piano before, I'm committed to learn how to play pieces by Richard Clayderman. I've learned how to play Ballade Pour Adeline but unfortunately it's the only piece I can play. I build and fly remote control high power helicopters. I now own 6 helicopters and some of them are bigger than me. You can imagine that my wife is not very thrilled with this hobby. I still get nervous before photographing every wedding.